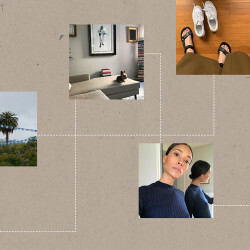 This week on Open Tabs, we’re giving you a peek into our internet habits (we’ll admit: we collect tabs like we collect lipstick) and the stories and themes we can’t seem to stop talking about, like how to explore Mexico City like a local, Black Panther’s return to the big screen, how to nail (get it) your at-home manicure, and much, much more. Thanks to Alfonso Cuaron, Roma has become the “it” place of Mexico City. In honor of Black History Month, select AMC Theatres will be screening Black Panther for free from February 1-7. Good news: It includes a lot of moisturizing and channeling your inner Posh Spice. A study that meets the scientific gold standard says so.